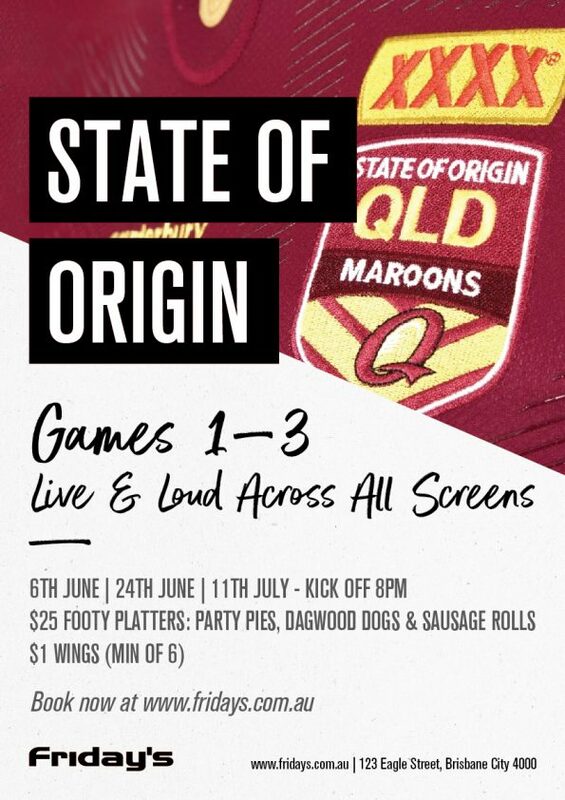 Catch all the State of Origin action live with us at Fridays! Available every game day. Get your mates together & book now!